A new and the first charcoal grill without bolts and nuts. Ready for the perfect grilling fun in just 3 minutes. With the Calypso grill of our new, bolt-free product range of Chill & Grill. You no longer have to spend too much time assembling it together, which requires some trade skills and frequent use of tools. All grill elements just need to be plugged together using our innovative patent-pending technology. The user will have the stable grill up and ready in just 3 minutes. The Calypso grill is stable and truly versatile. Due to its large cooking grate, you can easily prepare food for several persons at the same time. Not only is it suitable for an XL family, you can also use it for various events or club meetings – with its large cooking grate area you will be able to saturate all of your hungry guests. 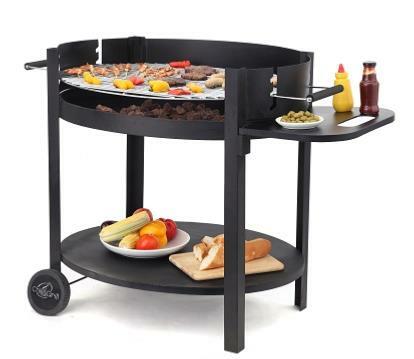 What makes the grill trolley so practical and convenient are the wheels attached on one side. This allows you to be flexible while enjoying grilling – the Calypso grill looks good everywhere – on your patio, grass or balcony. 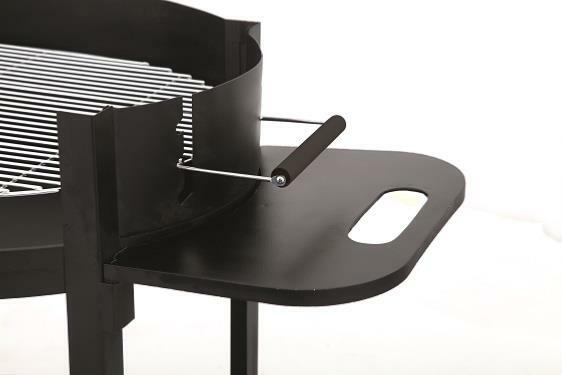 There is a storage shelf on one side of the grill where you can place your grilling utensils or additional food to be grilled. 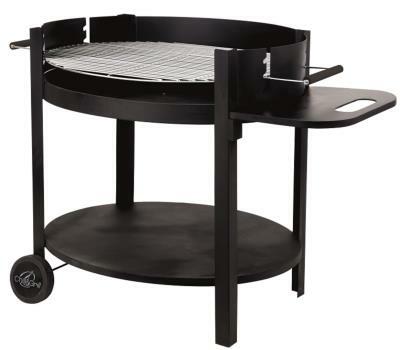 In addition, the storage rack under the grill body offers you more space for other items. 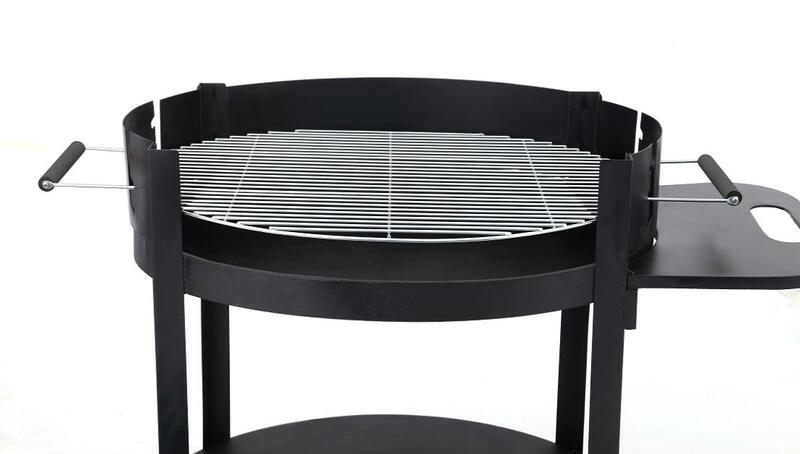 The windshield with fourfold cooking grate height adjustment is very useful in controlling the grilling temperature. Depending on how far the grate is from the embers, you can change the temperature at the food being grilled accordingly. The generously large cooking grate area makes grilling steaks and sausages a piece of cake. When the barbecue party or the whole grilling season is over, all grills of the Chill & Grill product line can be disassembled equally quickly and stored away – their storage requires very little space. 1 chrome plated cooking grid with plastic handles, height adjustable. 2 plastic wheels with wheel caps.